Enter your details and one of our friendly EKM Pro Consultants will be in touch. All fields are required. We’ll take care of your website. 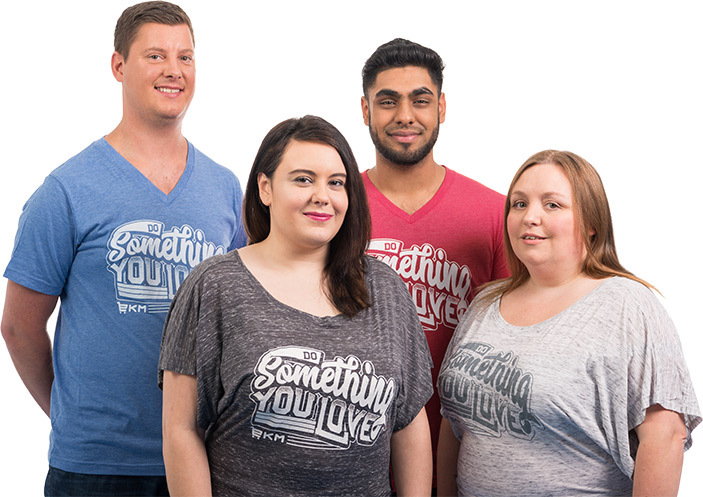 Remove the hassle of building, updating and maintaining your online shop with your very own dedicated eCommerce team, saving you time and money so you can concentrate on what matters most. 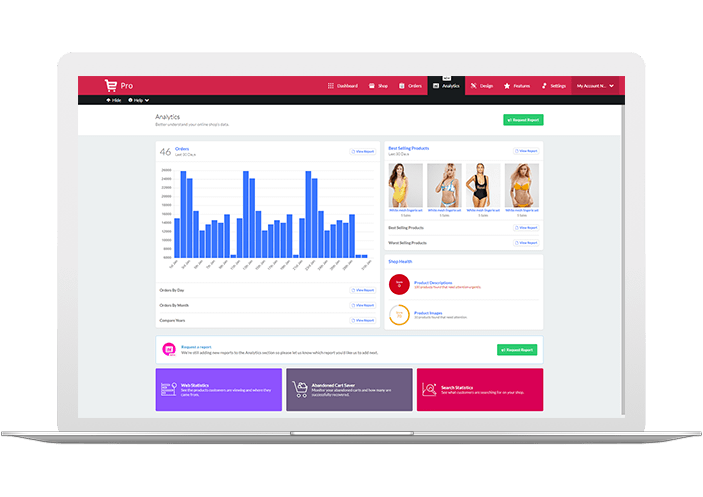 EKM Pro gives you the unique combination of your own enterprise level ecommerce website and a team of ecommerce experts to manage every aspect to maximise your business growth. From product and content management to PPC and from email marketing to your very own dedicated support line, our team will become a direct extension to your business. Utilise our team of in house designers, who will not only build your eCommerce website how you want it, they’ll update, amend and improve it to boost your conversion rate. EKM Pro is designed to both fuel growth as well as give you more time to concentrate on your actual business, instead of on your website. No need to worry about expensive server maintenance, or the monotonous tasks that usually come associated with managing a successful online shop, we’ll take care of everything. Our migration experts will ensure your shop data and inventory is transitioned seamlessly, leaving you in a position for our experts to advise and implement a full business growth strategy. We’ll streamline your business in aspects, from order communication, through to adding new products and preparing for seasonal sales. With EKM Pro money that would normally be spent on hardware, hosting and maintenance can instead be invested in growing your business. We’ll take care of everything from upgrades to 24 hour server monitoring. Your dedicated point of contact will work with you to achieve strategic ecommerce objectives, offer their expertise and suggest innovative ideas to help grow your business. Utilise EKM's Email Marketing and PPC Teams who will work with you to develop a powerful, results driven marketing strategy. You'll have access to an exclusive EKM Pro priority support line and email where you'll recieve near instantaneous support. Take advantage of exclusive EKM Pro features and integrations, from advanced analytics to exclusive multichannel rates. Keep more of your profit with exclusive low payment rates from as low as 1.4%. Enterprise performance, without the headaches. EKM Pro is designed to handle high-volume and fast growing businesses, giving you the highest uptime and fastest site available. EKM Pro provides your business with the optimum hardware available. With unlimited bandwidth, your website will be able to handle in excess of 500,000 hits per minute. With a 99.99% SLA guaranteed up time, you can have peace of mind that your shop will always be operational and taking payments no matter what the occasion. Round the clock server monitoring for full peace of mind that any server issues are immediately identified and fixed. EKM Pro shops will be prioritised in the rare case of any network issues. Your business. Safe and secure. We'll issue your shop with an Extended Validation (EV) SSL Certificate, enabling the green address bar and inspiring trust in your site and brand. 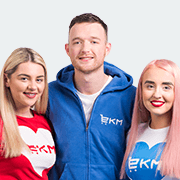 We understand that busy shops receive lots of updates and new data, so EKM Pro offers more backups, taken more frequently than any other UK ecommerce host. Our ultra-secure ISO27001-compliant UK datacentre offers security, reliability and resilience - boasting a full power management setup to cover any failures in power supplies without causing any disruption to service. Ready to reap the benefits of EKM Pro?